we When writing VBA macros, the concept of Private or Public is important. It defines how VBA code within one module can interact with VBA code in another module. On social media you can to set parts of your profile so that everybody can see it (Public), or only those you allow, such as friends or followers, to see it (Private). 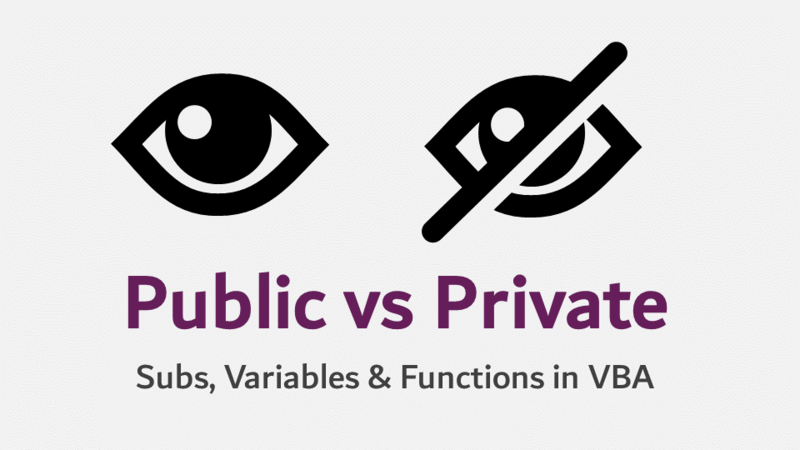 The Private vs. Public concept in VBA is similar, but since we’re talking about VBA here, it’s not quite as straight forward. Before we launch into the difference between Public and Private, we first need to understand what Modules are, and how they function. Modules are the place where we enter and store VBA code. Worksheet Modules are generally used to trigger code which relate to that specific worksheet. Each worksheet contains its own module, so if there are 6 worksheets, then you will have 6 Worksheet Modules. In the screenshot above, the VBA code is contained within the Worksheet Module of Sheet1 and is triggered only when Sheet1 is activated. Any code in a Worksheet Module based on worksheet events applies only to the worksheet in which the code is stored. The Workbook Module is generally used to trigger code which relates to workbook level events. In the screenshot above, the VBA code will run when a workbook is opened. Every workbook has its own module. UserForm Modules generally contains code which relates to UserForm events. Each UserForm contains its own module. In the screenshot above, the VBA code will run when the user clicks on the button in the UserForm. Standard Modules are not related to any specific objects and do not have any events related to them. Therefore, Standard Modules are not triggered by User interaction. If we are relying on events being triggered, then the Workbook, Worksheet or UserForm Modules may call a macro within a Standard Module. The screenshot above shows a code which when run, will password protect the ActiveSheet, no matter which workbook or worksheet it is. The final type of VBA module available is a Class Module. These are for creating custom objects and operate very differently to the other module types. Class Modules are outside the scope of this post. The terms Public and Private are used in relation to Modules. The basic concept is that Public variables, subs or functions can be seen and used by all modules in the workbook while Private variables, subs and functions can only be used by code within the same module. 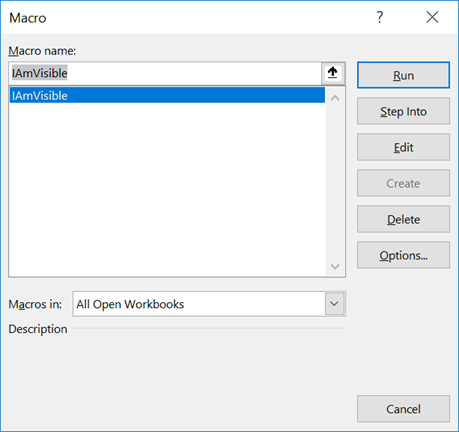 Does it appear in the list of available macros within Excel’s Macro window? Can the code be run from another Macro? 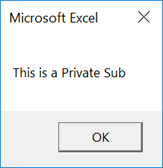 Where Private or Public is excluded, VBA will always treat the sub as if it were Public. One of the most important features of Private subs is that they do not appear in Excel’s Macro window. MsgBox "This is a Private Sub"
MsgBox "This is a Public Sub"
The Macro window will only display the Public sub. I don’t want you to jump to the conclusion that all Public Subs will appear in the Macro window. Any Public sub which requires arguments, will also not appear in this window, but it can still be executed if we know how to reference it. When we think about Private subs, it is best to view them as VBA code which can only be called by other VBA code within the same module. For example, if Module1 contains a Private Sub, it cannot be called by any code in another module. Now let’s try to call the ShowMessage macro from Module2. It will generate an error, as the two macros are in different modules. Instead of an error, the code above will execute the ShowMessage macro. 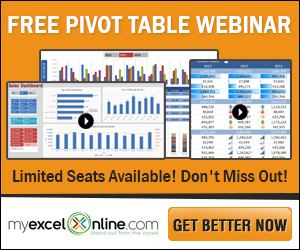 Excel creates the Worksheet, Workbook and UserForm Module events as Private by default, but they don’t need to be. If they are changed to Public, they can be called from other modules. Lets look at an example. Enter the following code into the Workbook Module (notice that I have changed it to a Publc sub). We can call this from another macro by using the name of the object followed by the name of Public sub. This means that we can run the Workbook_Open event without needing to actually open the workbook. If the sub in the Workbook Module is Private, we can still use the Application.Run method noted above. Functions created without the Private or Public declaration are treated as if they are Public. 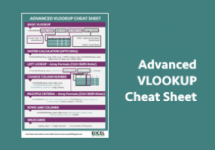 User Defined Functions are worksheet formulas which operate the same way as other Excel functions, such as SUMIF or VLOOKUP. 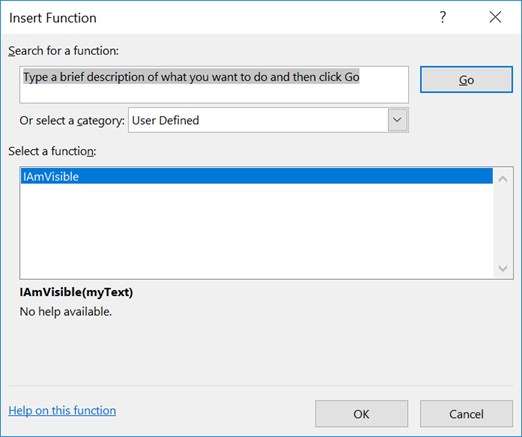 Functions must be declared in a Standard Module to be used as User Defined Functions in Excel. 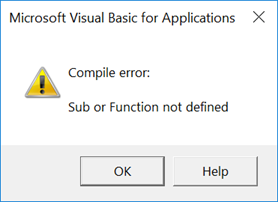 Functions used within VBA code operate in the same way as subs; Private functions should only be visible from within the same module. Once again, we can revert to the Application.Run command to use a Private function from another module. The code above will happily call the NotVisible private function from Module1. Variables are used to hold values or references to objects which change while the macro runs. Variables come in 3 varieties, Public, Private and Dim. Public variables must be declared at the top of the code module, directly after the Option Explicit statement (if you have one) and before any subs or functions. The following is incorrect and will create an error if we try to use the Public Variable. MsgBox "Public Variable is not first"
MsgBox "Public Variable is first"
myPublicMessage = "This is Public"
Private Variables can only be accessed and changed by subs and functions within the same Module. They too must also be declared at the top of the VBA code. The following demonstrates an acceptable usage of a Private variable. myPrivateMessage = "This is Private"
Most of us learn to create variables by placing the word Dim at the start. Dim variables behave differently depending on how they are declared. Dim variables declared within a sub or function can only be used within that sub or function. In the example below the Dim has been declared in a sub called CreateDim, but used within a sub called UseDim. If we run the UseDim code, it cannot find the Dim variable and will error. myDimMessage = "Dim inside Sub"
If a Dim variable is created at the top of the module, before all the subs or functions, it will operate like a Private variable. The following code will run correctly. You might be thinking that it sounds easier to create everything as Public, then it can be used anywhere. A logical, but dangerous conclusion. It is much better to control all sections of the code. 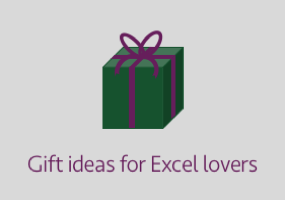 Ask yourself, if somebody were to use your macro from Excel’s Macro window, should it work? Or if somebody ran your function as a User Defined Function should it work? Answers to these questions are a good guiding principle to help decide between Public and Private. It is always much better to limit the scope of your subs, functions and variables initially, then expand them when required in specific circumstances. Do you have to use Dim to declare variables?